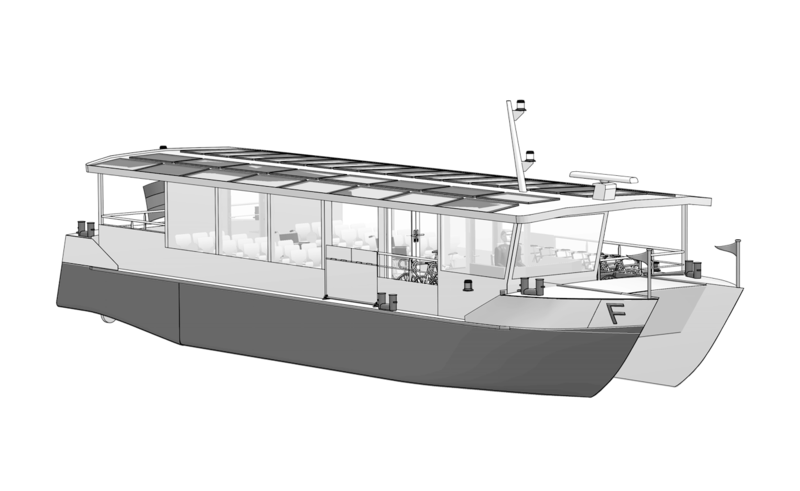 Your customers will appreciate the zero-emission, almost silent movement on the water. Efficiently operating a solar-powered ship doesn't only mean generating solar power. The ship should use the generated energy as efficiently as possible - this is a question of hydrodynamics and weight. Our Ampereship ships are hydrodynamically optimised so that they can be driven completely emission-free. 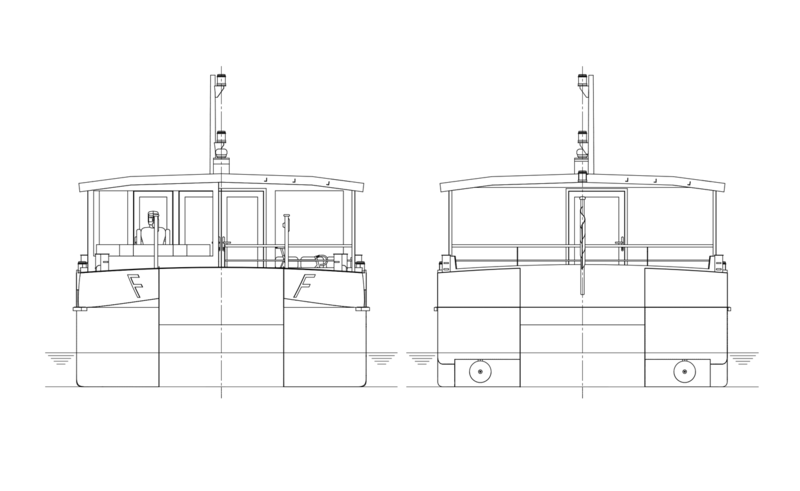 Our ships' hulls are designed and built with weight optimisation in mind and in line with the client's requirements. 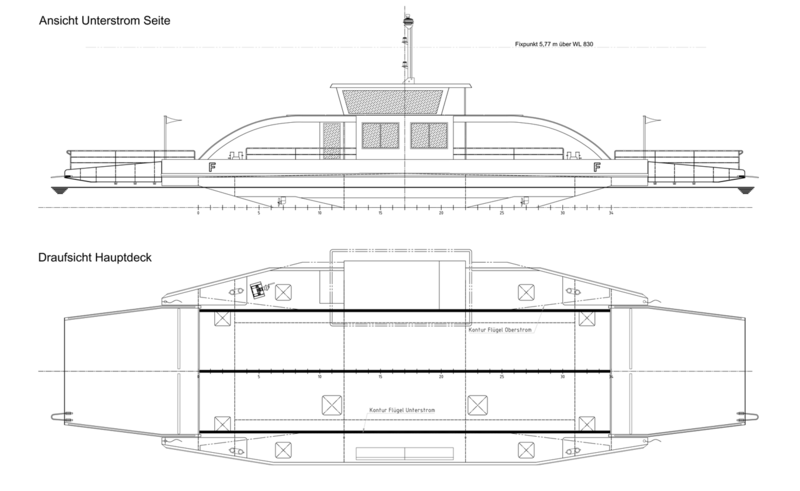 Engine specifications and measurements variable up to 2 x 75 kW according to the client’s wishes. Transmission propeller can be mechanically rotated 360°. All BinSchUO waterway zone permits possible.